Last year, Tiger used All About Reading Pre-Level. We loved it! He enjoyed the puppets, and all the rhyming and syllabication activities were right on target. Those were skills I hadn’t thought about teaching but they were wonderful precursors to reading. Some were very challenging for him so we spent lots of time in review. By the end of the year, he could recognize syllables and could rhyme words. He could also say words slowly (saying each individual sound) and then quickly (blending the sounds)-getting him ready to sound out words. It was a fun year! Of course, I had to progress into Level 1 now that it is out. Tiger is on the 7th lesson of 49 lessons. The program has many components…. So far, most of the lessons have introduced a few letter sounds. We’ve learned about c, g, t, a, i and several others. I introduce them with the included flash cards and then we find the letter tiles for each letter. Tiger loves to play with those! After more letter sounds are introduced, you practice blending with them. I spell short words with the tiles and we sound out each letter and then blend. I have to admit the first two weeks of trying to blend words and sounding out the letters again, and again, and again was making me completely crazy! I thought we would never read a single word! But we kept at it. I persistently demonstrated how to sound out each letter and then blend the sounds together. By the end of the 3rd lesson, Tiger was doing it on his own! Hallelujah! He could sound out words! Many of the lessons also have a short activity sheet to complete that goes along with the lesson. Some are cut and paste and some are simple games. Tiger has loved the monster game where he feeds a monster words after he has sounded them out! There are also additional activity pages like the word flipper where you can turn over letters to expose new letters which spell additional words. There is also an entire book devoted to file folder games with Ziggy (which is a separate purchase). The games are full color and only require you to tear them out and paste them on. Then you cut out the game pieces. Very simple! The program also contains flash cards of words that can be made from the sounds learned. We continually review these and Tiger now knows some of them by sight. It makes things so much faster once he commits them to memory! Some of the lessons also contain fluency practice sheets. These pages have rows of words at the top. The middle section has short phrases and at the bottom are very short sentences. We read a section at a time to practice sounding out more words. At first it was very hard for Tiger to read each word in a phrase and then put the phrase together and say the whole thing. He was reading each word individually and not comprehending the phrases. But after some more practice, he can hold the few words in his head and read the entire phrase after he has sounded out each individual word. Now he’s also comprehending the things he’s reading! And you can’t forget the little viewfinder to help direct focus to one word at a time. It was invaluable for Tiger! By lesson 5, we were reading 2 stories out of his reader! He was so proud to have his own book and to be able to successfully read 2 stories. He did very well and is motivated to keep learning new sounds so he can read more stories. We read the stories multiple times and by the 3rd and 4th readings, he recognized and remembered many of the words and was able to read the story fluently, only needing to sound out a few words. I quizzed him after each page to make sure he was comprehending the story line. He was! I aim to complete 1 lesson per week, doing only one portion of each lesson per day for the 5 days. If we hit a spot that is difficult, we might spread the lessons out and work on 1 lesson for 2 weeks. But the slow pace has worked well so far. Day 1-I introduce the new letter sounds and we practice them with the phonogram cards. Some days we start using the tiles to practice. Day 2-We review the letter sounds and then use the tiles to build words and practice blending. Day 3-We review letter sounds and previously learned words. We build a few words and blend. Then we do the activity sheet. Day 4-More review and we play a game with one of our old activity sheets. Then we add the new word cards and practice reading them. Day 5-We review the word cards and letter sounds and reread a story from the reader or work on the fluency sheets. The program is very simple to use once the initial set-up is complete. I spent time separating all the phonogram and word cards and storing them in a file box. Then I made sure all the letter tiles that we would need were separated and had magnets. I keep our tiles on small cookie sheets. Each week I tear out the activity pages from the student activity book. Once Tiger completes them, we store them in his notebook. He’s so proud of his progress! I keep the teacher’s manual handy because it has step by step directions for each lesson. I have found the program to be very open-and-go and user-friendly. I just walk through each step of the lesson with Tiger and the manual lays out all the teaching tips, each word to introduce, and when to read stories and complete activities. There is no planning time involved for me! Tiger calls his time using All About Reading his “letters time” and he doesn’t complain about using the program. He looks forward to letters time. Sometimes it is hard work and at times he is frustrated, but he’s always willing to press forward and keep trying. I am so enjoying the program-I love all the various components. The letter flash cards are great review tools. The tiles have been so helpful in learning to blend letter sounds together. The word flash cards are helping Tiger build fluency and recognize words. The worksheets are enough and are great to reinforce each lesson. The fluency pages have been challenging but have helped Tiger prepare for reading stories in books. They have also helped him work on reading comprehension as they contain phrases and sentences. So far, we both love the program and I can’t wait to see Tiger’s progress once we complete 7 more lessons. I think Tiger will be reading well before the end of the year and I’m hoping to progress into Level 2 with him to continue working on his reading skills. Would you like to take a video tour of this program? 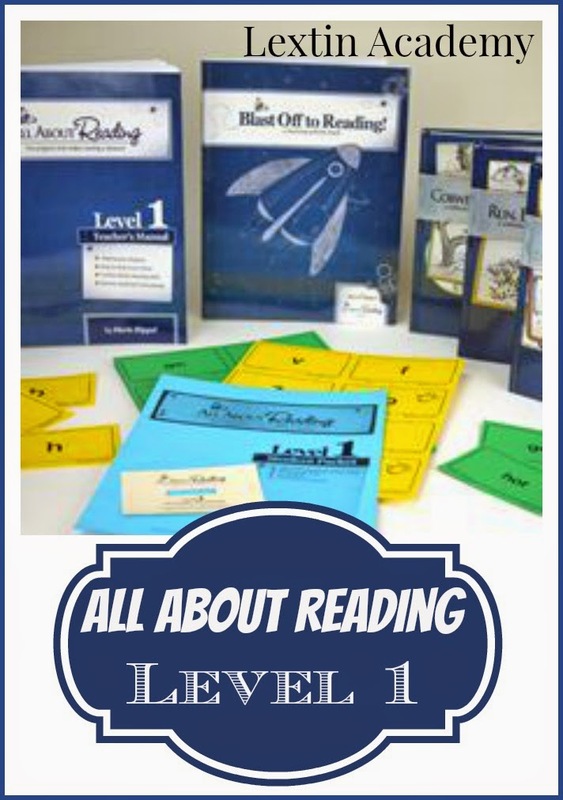 You can watch the video below to see all the different components and see how I use this program in our homeschool.